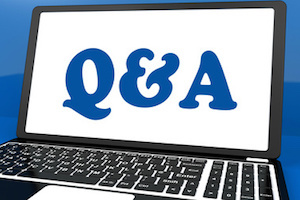 Today’s post wraps up a longish answer to this earlier open-ended question. But it also explains the difference between local and global DLCIs. Check out these other two parts (part 1 and part 2) of the answer as well. 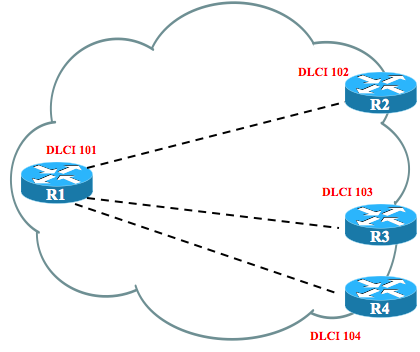 also tackles the sometimes confusing topic of global DLCIs in Frame Relay. As usual, details are below the fold. First, if you do not yet understand local DLCIs, stop reading now, and go learn about local DLCIs. In my opinion, one of the worst things you can do when learning Frame Relay is to try and tackle global DLCI concepts before you fully understand local DLCIs. Look at the book, look at the previous post about this question, whatever, and make sure you understand local DLCIs. Local DLCIs are truth. It’s how FR works. Always. So why do we have to talk about something called “Global DLCIs”? Well, it’s fair game on the exams, and it is a common thing to do with traditional Frame Relay networks. FR networks do *not* use *either* local or global DLCIs. The DLCIs are always local. “Global DLCI” is a crummy choice of term to refer to something this is simply a convention to assign DLCIs. Global DLCIs make the documentation neater, because only one DLCI value is written beside each router. Global DLCIs make planning easier. 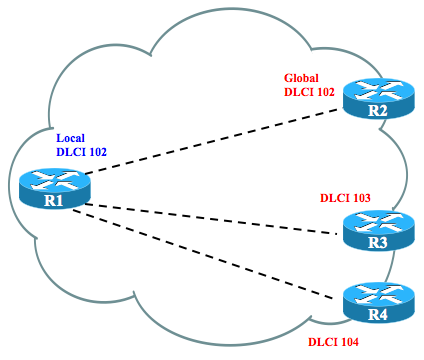 Global DLCIs allow the provider to assign each site a single DLCI. Other sites treat this number as a destination DLCI. For instance, consider the following figure that uses global DLCIs. The diagram shows one global DLCI per router. 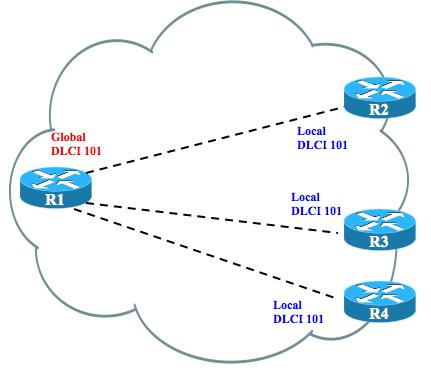 Router R1 uses global DLCI 101. What does that mean? It means that all the other routers use 101 as their local DLCI on their PVC connected to R1. In this case, R2, R3, and R4 would all use local DLCI 101 on their PVCs to R1, as seen in the next figure. The figure shows the documented global DLCI 101 for router R1 in red on the left, and the local DLCIs that should be used A’s a result, in blue, on the right. So, documentation that shows global DLCIs simply identifies the local DLCI used by any other router. Similarly, the first figure shows R2s global DLCI is 102. What does that mean? It means any other router with a PVC connected to R2 should use local DLCI 102. The next figure shows R1 using local DLCI 102 on the PVC from R1 to R2. R3 uses global DLCI 103, and R4 global DLCI 104. Again, what does this mean? It means R1 uses local DLCIs 103 and 104 on its respective PVCs to R3 and R4. Finally, for perspective, consider what happens to documentation when the main site router has say 30 PVCs connected to it. If you try and write down local DLCIs, you end up with 30 numbers written next to that router. With global DLCIs, you only need to rite down 1 number per router, making the documentation much easier to read.